O’Harani, in association with Rising Star Entertainment & Viveck Vaswani, proudly unveils RE (LIVE) INDIA, a first-of-its-kind luxury pilgrimage for NRI (non-resident Indian) senior citizens in the USA, Canada, UK, Europe, Africa and Australia. Most NRI families, living and working outside of India, include aging parents, grandparents and other relatives. Many of these senior citizens would love to go to India to meet their near and dear ones and for one (maybe last) time, visit their favorite Holy places. However, the pressures of modern life prevent the entire family from traveling together, and because the younger ones cannot take the time out, the elders are not able to go, since they have to be especially chaperoned. So, we have curated these custom designed tours especially for those senior citizens who need to go on pilgrimages, unaccompanied. They are created specifically with safety, luxury and quality in mind for our special customers. Because at O’Harani & Rising Star Media, our senior travelers are truly special! 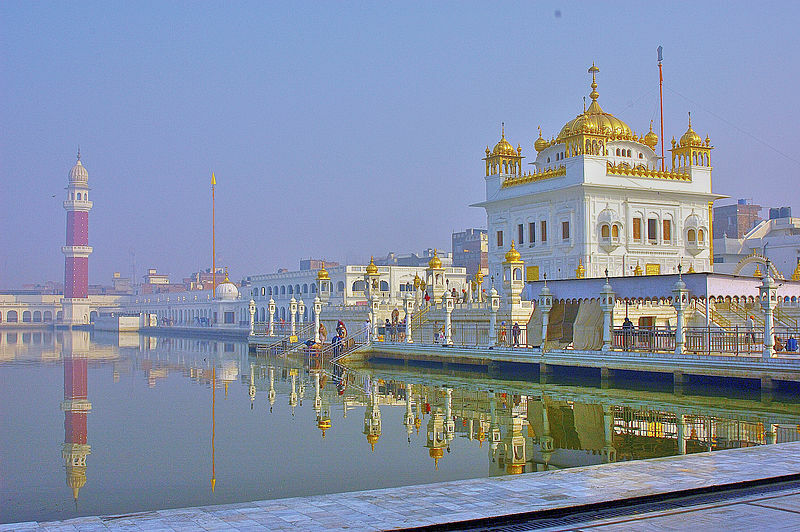 Day 2 Optional Special Golden Temple night trip for Palkhi Ceremony: 3:30 a.m.
Each tour will have a limited number of passengers, between 10 and 15 at the most, and will require seven days on the ground in India. Breakfast, lunch & dinner are included with each tour, as is domestic travel within India. International travel to and from India is not included. Each tour will have a qualified nurse traveling with the group, carrying a full medical kit. Each passenger’s medical history will be required in advance. Each tour will have a hospital on call within a 50-mile radius. Each tour will have a fully qualified professional tour manager and team with the group. Minute-by-minute itinerary planned and accessed by passengers well before the start of the tour. All paperwork, check-ins, entrances to places of worships will be done by the team in advance. Luxury hotels at every Pilgrim Point. Executive Class rooms & designer meals at every hotel (spa & salon services optional). Custom-designed vegetarian and non-vegetarian meals, as per dietary requirement (diabetic meals, vegan meals, Jain meals, etc.). Special food hampers with fruits, juices, mineral water and a host of scrumptious goodies while on the road & in the rooms. Pre-arranged and seamless Darshan during the Pilgrimage and enough time for worship (wheelchairs are accessible throughout). Prasadams will be collected by the team on behalf of the guests. Additional travel arrangements within India before and after the tour can be arranged upon request, as per cost. Tours especially created for the aged, ample time for rest and recreation added, so that pilgrimages happen with minimum stress. ***Think of this as the Exotic Marigold Hotel experience for Indian senior citizens! *Contact us via email or phone for quotes & detailed itinerary!